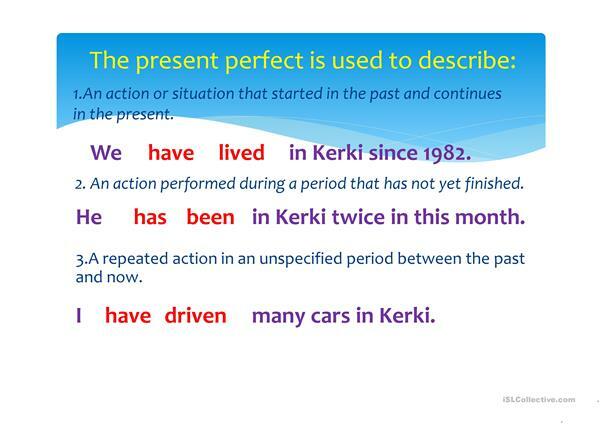 Descriptions of using Present Perfect Tense and in what situations can we use. Formula of making up sentences. This downloadable teaching material is recommended for high school students, elementary school students and adults at Beginner (pre-A1), Elementary (A1) and Pre-intermediate (A2) level. 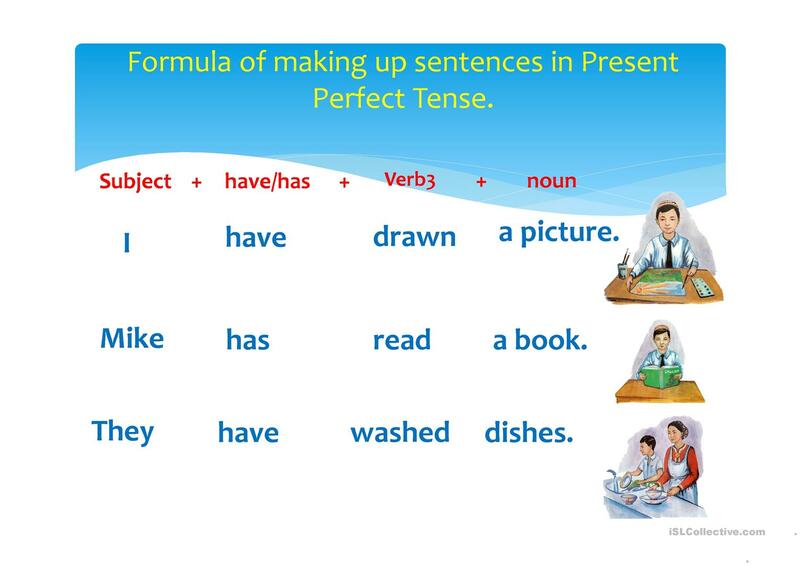 It is great for consolidating Present perfect tenses in English, and is a valuable material for enhancing your groups' Spelling and Writing skills. 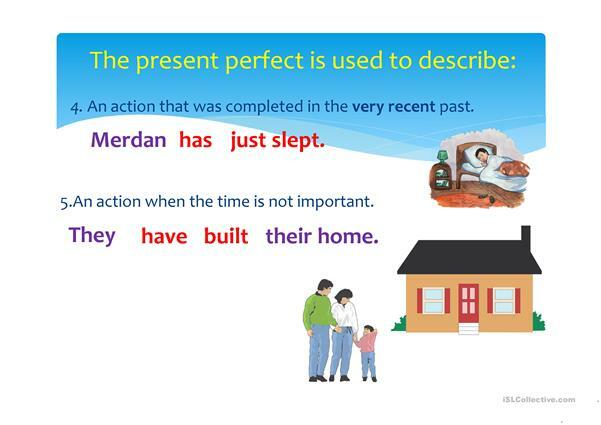 It is about the vocabulary topic of Actions. You will find the answers at the end of the worksheet. agajanm is from/lives in Turkmenistan and has been a member of iSLCollective since 2012-04-09 03:57:55. agajanm last logged in on 2019-04-15 19:57:10, and has shared 4 resources on iSLCollective so far.